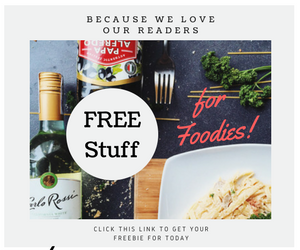 Are you a hopeless romantic like me? Someone who believes in love and has tons of romantic ideals in life...somehow sees fairytales maybe true and may happen, and looks up to famous lovers for their inspirations? YES? Then this article is devoted to you! No hopeless romantic does not know of the Romeo and Juliet's tragedy. It is William Shakespeare's adaptation of two star-crossed lovers caught in between two feuding families. Whether the story is a myth, or have been inspired from real characters, some have even claimed that the storyline,even the original story (from where it was adapted from), it contains universal truth, meaning, arguably, the truth about this story is accepted by everyone. I'm not a Shakespeare fan, neither did I read his play, but I knew the plot (as everyone does), I did however watch a movie or too based on it. But my visit to Verona, Italy made me think twice of it's true existence. Many would say otherwise and would laugh at the idea of it being true, but when I heard a friend about the two families in Verona, Montecchi and Cappelletti, who had been fighting in those eras, I realized there might be something true about it, then Juliet and Romeo, and some characters in the story may have existed. So, here is my exploration to see whether I can summarize it to be true or not. 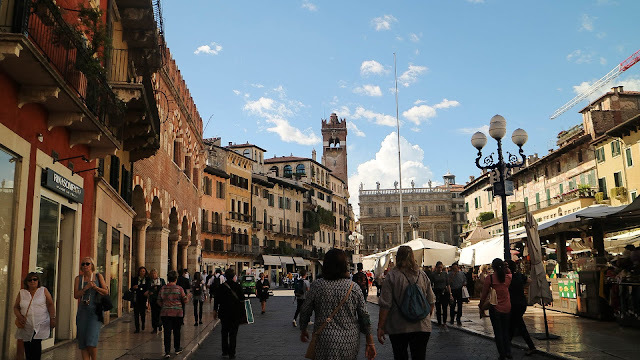 It began when we were invited by a family based in Verona to their house and Elma (the light of that lovely home) volunteered to be our guide in the famous romantic town. 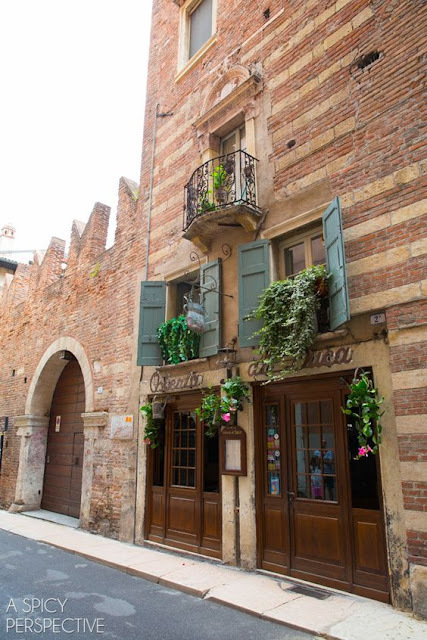 After a delightful traditional Italian lunch prepared by Elma, we head off to the city of Verona. Verona, located northeast of Italy is part of the Veneto regions (of the 20 regions of Italy). 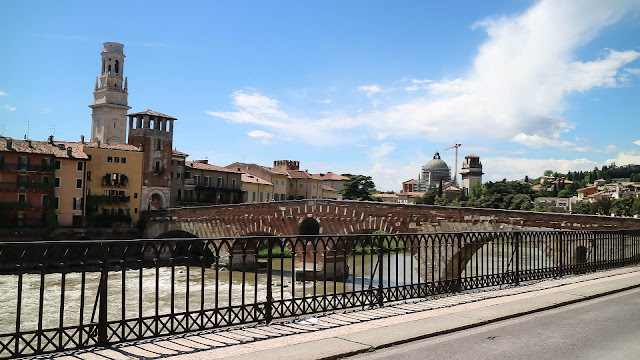 We drove along the Adige River and crossed one of the oldest bridge in the city to enter the main city's attraction. 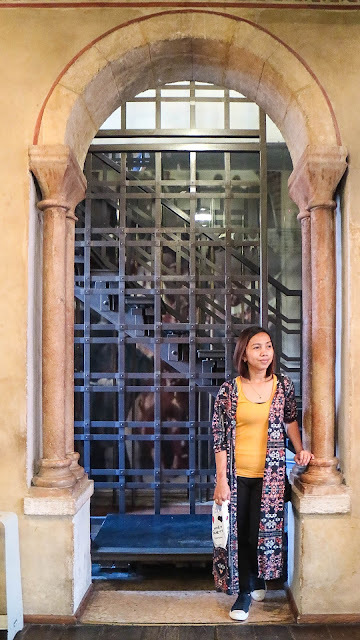 We then reached the Piazza Bra and entered trough Bra Gates, the main entrance of Verona in the age in which it is believed that the tragic story of Romeo and Juliet took place: the end of the thirteenth century. After the fall of Roman Empire, the town of Verona kept on expanding and new walls were built. 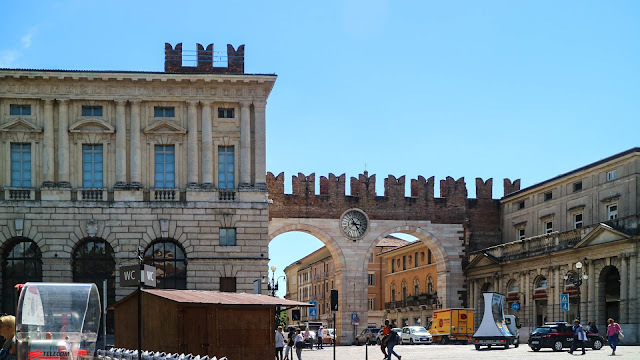 At the end of thirteenth century here ran the walls of Verona, a highly fortified town to resist the attacks of rival cities and plunderers during dark ages. And world's exile is death." 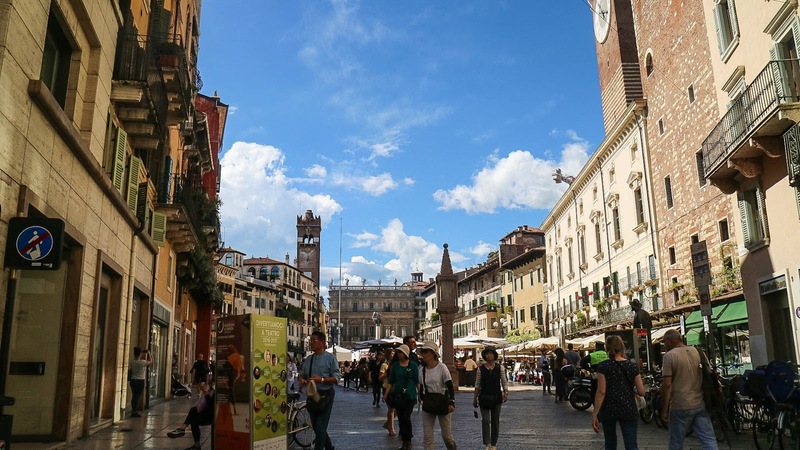 Piazza Bra is the main square where you can find the Liston on the left side and the Arena on the right. 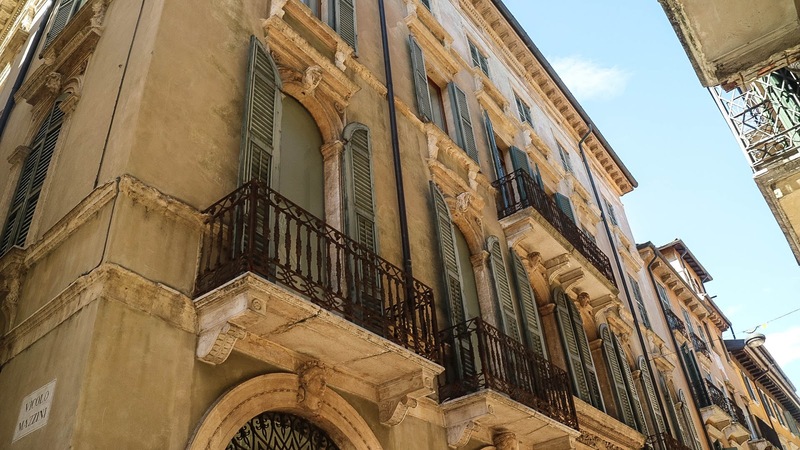 At the end of Liston is Via Mazzini, the most elegant and busy street of the city and where we will be led to Juliet's house. 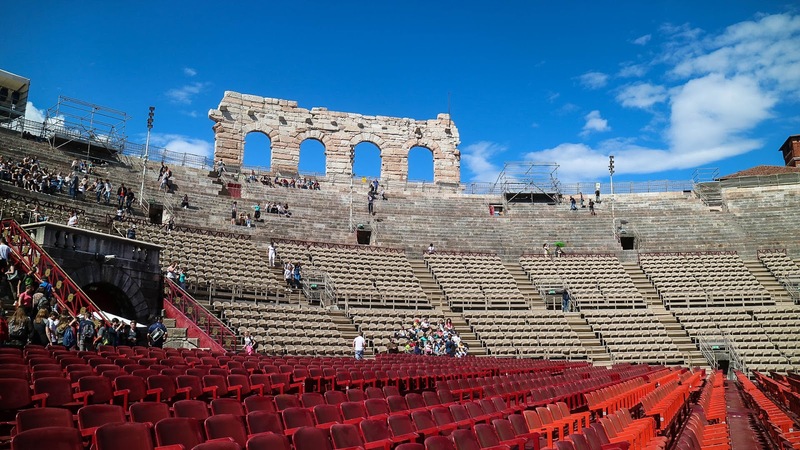 Arena di Verona is a proof of Roman handling and one of the most well-preserved landmark in Italy. The amphitheatre was built in the first half of the 1st century A.D. (between the end of Augustus‘ reign and the beginning of Claudius). 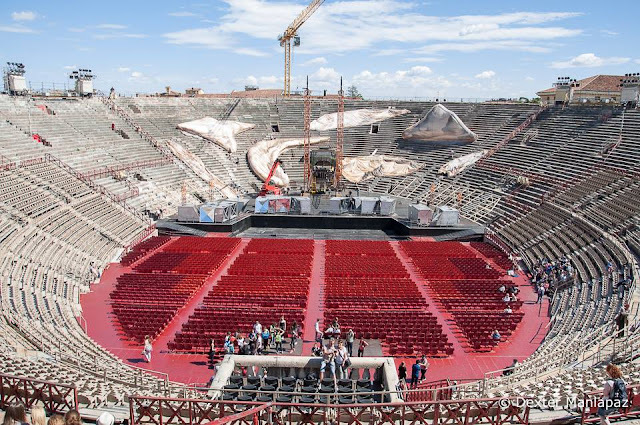 After the colosseum and the Capuan amphitheatre, the Arena is the third largest of its kind in Italy. The Arena was originally used to host gladiator, circus, and equestrian events and, even today, it continues to host concerts and, most famously, an opera season every summer where 20,000 spectators, as in antiquity, enjoy the unique atmosphere of an open-air spectacle. Its elliptical shape enhances the acoustic quality of the performances and also allows seating-space for thousand of spectators. 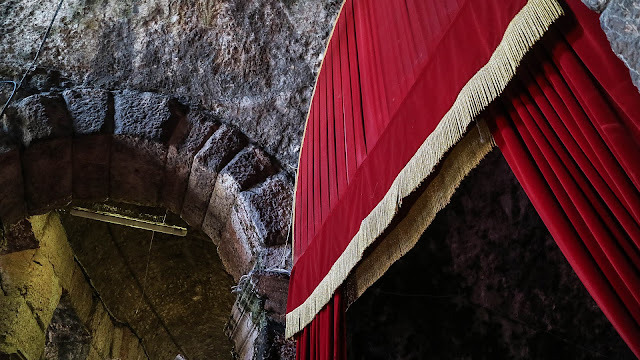 Originally there were three tiers of arches reaching a height of 30 metres, but today only two tiers survive except in one small portion where four arches survive of the top tier. Tunnel-like passage accessing the arena which runs around the arena. From this corridor, steps lead upwards at regular intervals and on four different levels to form vomitoria, which give access to the interior cavea. 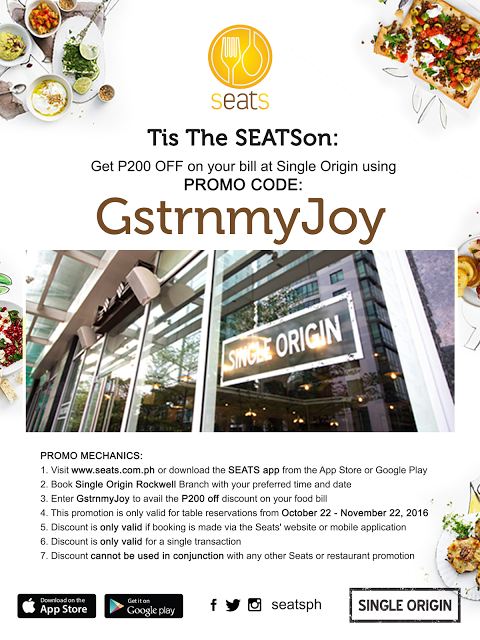 Inside, the seats were arranged in four elliptic rings giving a total of 44 rows of seats. There is also an extensive and still functioning drainage system which has contributed to the excellent preservation of the monument. Via Mazzini situated in between the beige and orange buildings. 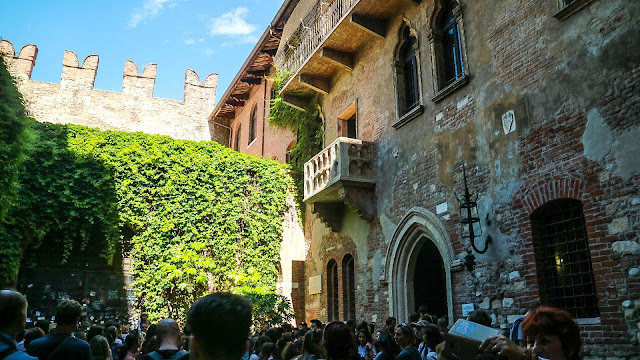 Outside, the Arena seemed to be the primeval structure which stands among Renaissance buildings. 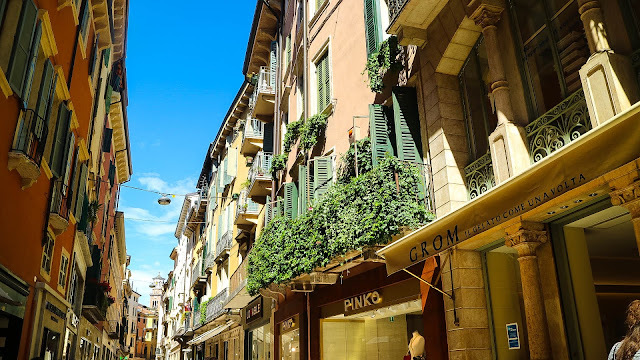 We then trekked to Verona's shopping district Via Mazzini. The Liston is referred to as the piazza popular place for both tourists and local people to promenade or to walk at. 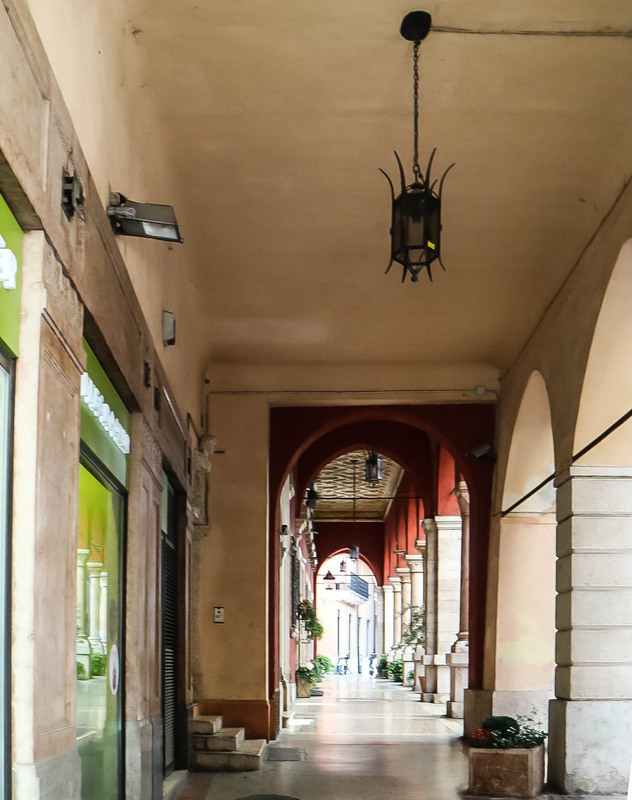 The liston is now used for outdoor seating by the many cafés surrounding the piazza. 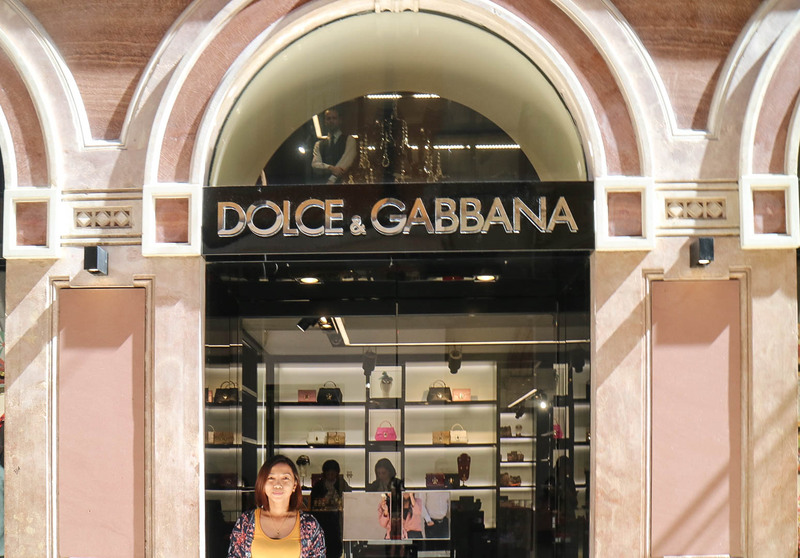 International and avante garde Italian brands line both the buildings. 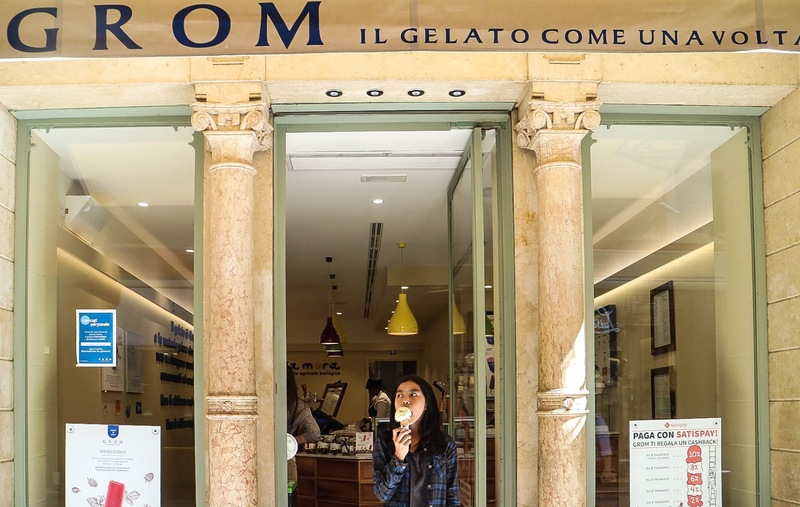 But first, we had a yummy pitstop at Grom Gelato. According to my sister, Grom is a type of Italian Bio, bio or European term for "biologically'" or organic. 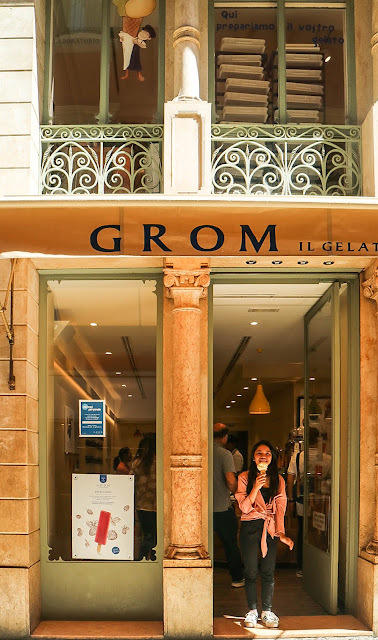 When it comes to selection of pure ingredients and making even the most simple flavors taste absolutely divine, Grom is at the top of their game. 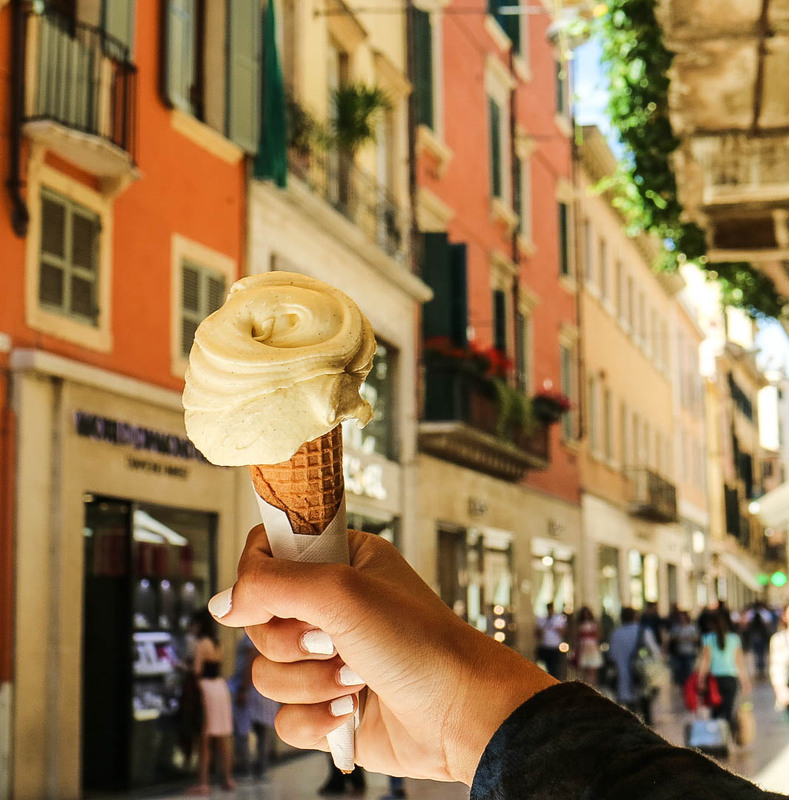 There is usually a line out the door but, for a scoop or two of their gelato, it’s definitely worth the wait. Aside from the line, Grom doesn’t look like a typical gelateria; there are no glass cases displaying brightly-hued flavors and no colorful plastic spoons. The gelatos at Grom, made fresh daily and with a taste to match, are kept in lidded metallic canisters and the spoons are ivory, and environmentally friendly. 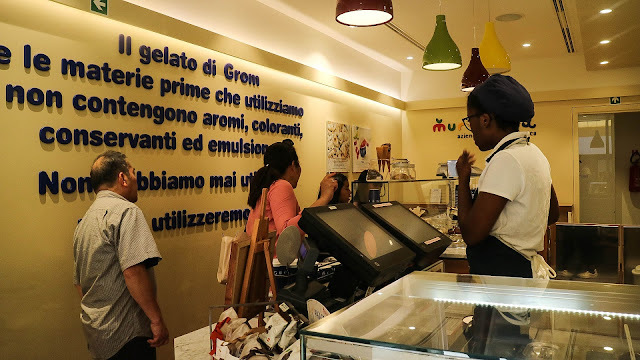 But isn't about the spoons they use to artistically put the gelatos on the cone or on the cup. They actually think of our planet. 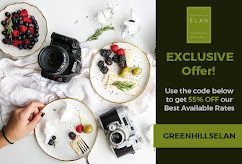 They consider their company to be about transparency, as they fully disclose the list of ingredients, and gives out descriptions of what goes into each and every product. 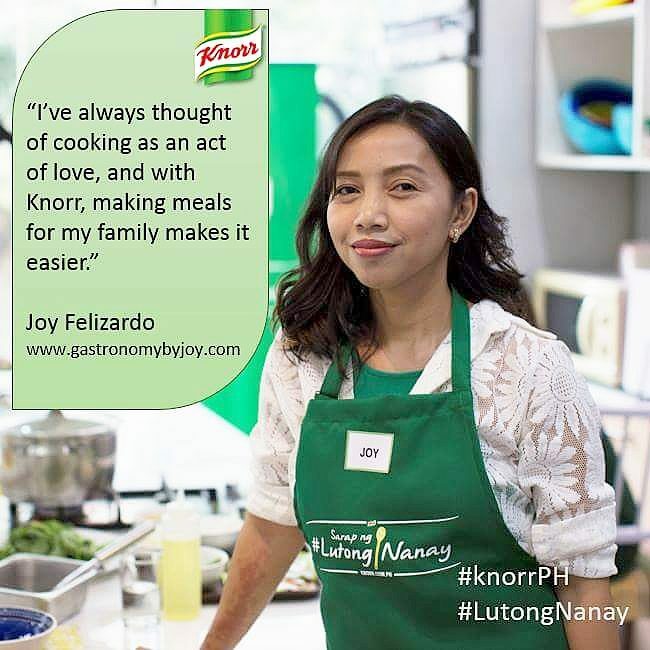 They also promote agri-tourism with their partner organic farm, Mura Mura. Also, their Grom Loves World campaign is admirable, where you can read all about the actions they take to give back. 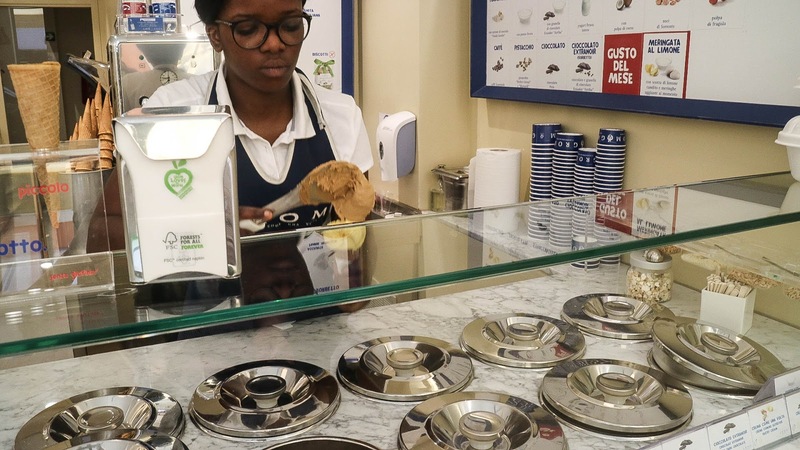 So, you don't only indulge with guilt-free gelato (perfect for an exhausting, humid afternoon), you also get to help save the planet. The walk along that street isn't only expensive, if you are going to shop though, but the sights are just awe-inspiring as old buildings were preserved blend in to current lifestyles. Arched windows made D & G's store truly elegant. At the end of Via Giuseppe Mazzini is Piazza delle Erbe, known as Market Square (or the square of herbs). It occupies a good part of the area of Verona’s Roman Court, where the Maximum Decuman and Maximum Cardo intersected. Through the centuries, the square has been the centre of the city’s political and economic life. To it's right leads to Via Capellati, where Casa di Giullieta is. Just follow the flock of people and you will eventually find the arched entrance to Juliet's house. 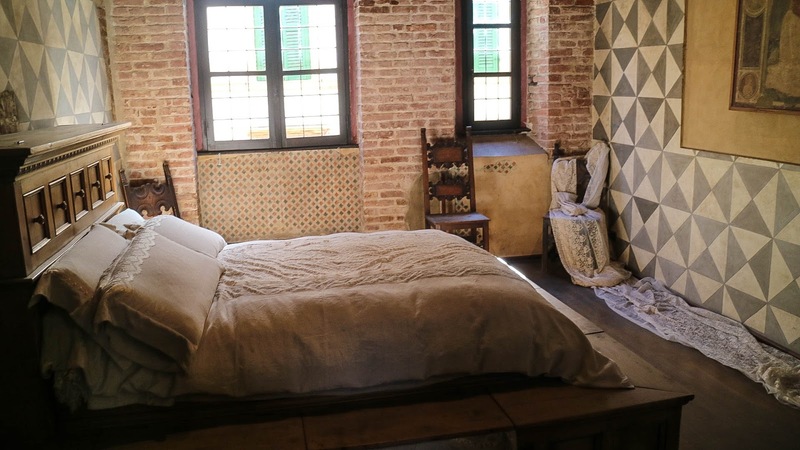 It's an early 14th century house which belonged to the “Dal Cappello” or “Cappelletti.” He is said to be the patriarch known as Lord Capulet, Juliet's father in the story. The names of the families (in Italian, the Montecchi and Cappelletti) were actual political factions of the thirteenth century, mentioned by Dante in a short verse of his Divine Comedy. 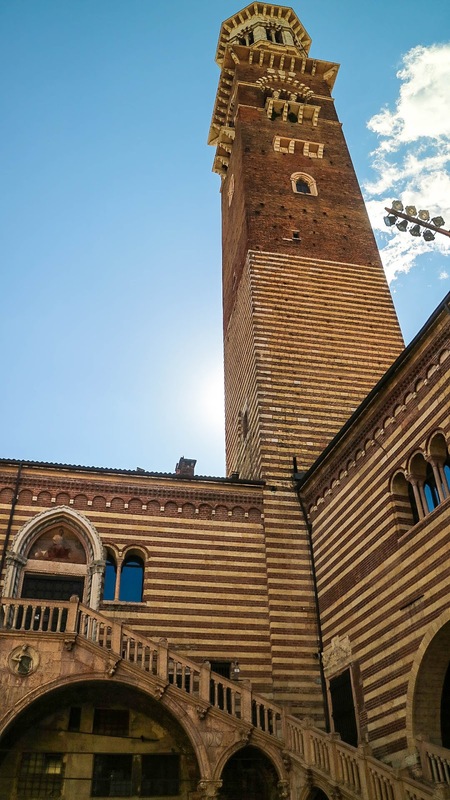 The two families, Montecchi and Capuleti in Italian, the struggle for power that took place in Italy and in Verona at that time, the Scala family lords, are all true. In Verona there are still the houses of the two families, nowadays of course called Romeo's house and Juliet's house. Remember the movie of Alden and Maine, where they visited Verona and had their pictures taken at a bronze statue of a lady? That's her, an artist's imaginative rendition of the protagonist Juliet. 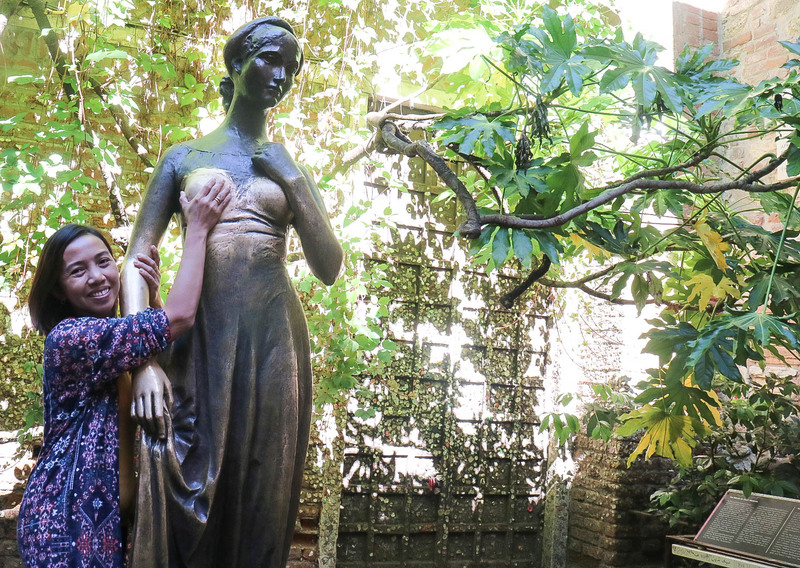 Traditionally, one must rub Juliet's right breast to attain or find true love. 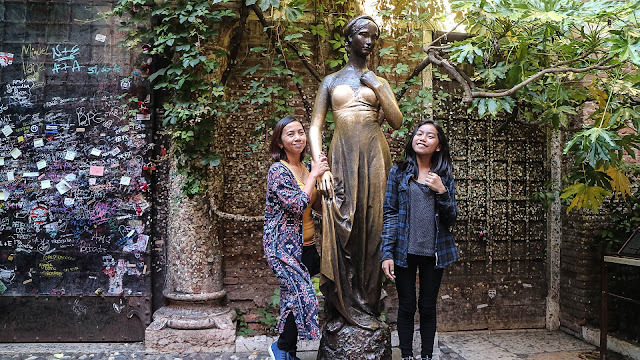 The famous courtyard where tourists would flock to see the statue up close and get the vibe of the lovers romantic spirit. The walls surrounding the courtyard is filled with bubble gums stuck to it, this were used to stick letters to Juliet written by the visitors. I didn't really need to read them, but do you know there is a club of women taking care of these notes? I mean to say is that these letters were usually removed, then read and answered by people known as secretaries of Juliet. I actually had to watch the movie Letters to Juliet to actually know about this. Then we actually went inside the house, and I paid 6 Euro and my kids are 1 Euro each. 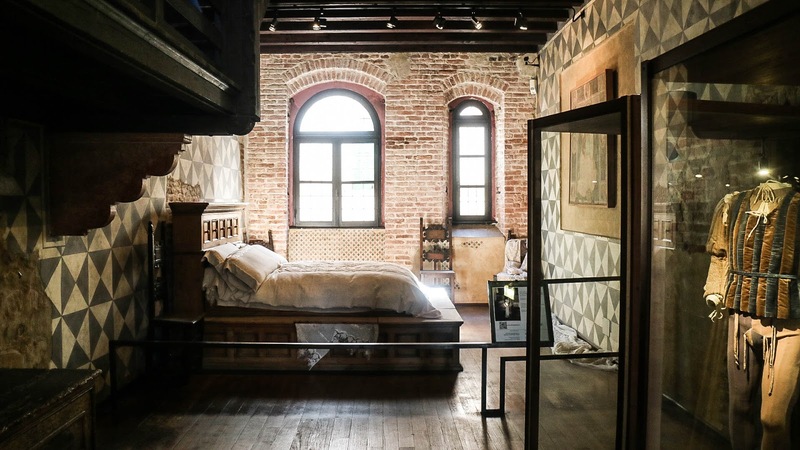 The house was turned into a museum. It was renovated to look like it was from the Shakespearean era. 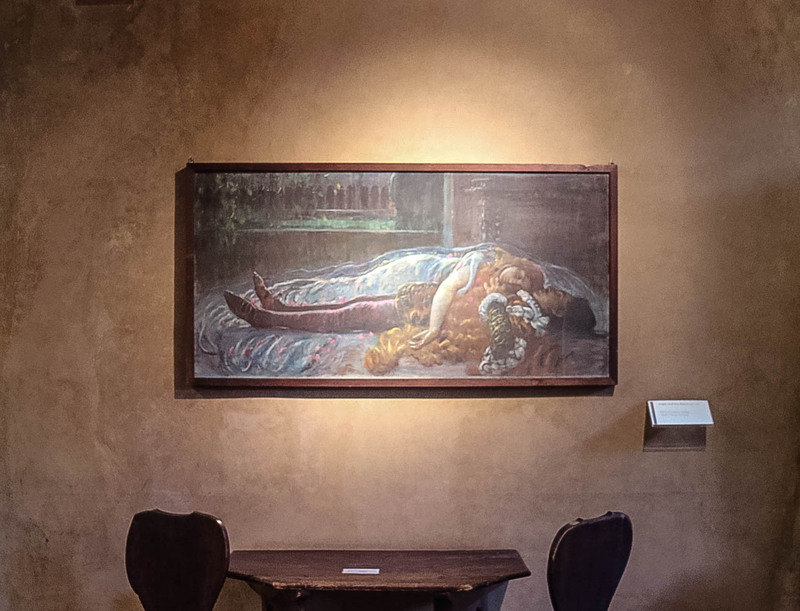 Paintings from different artists depicting the tragic love affair adorn the walls. Furnishings from the Scala family (Scaligeri) were also displayed. Balcony from the third floor. 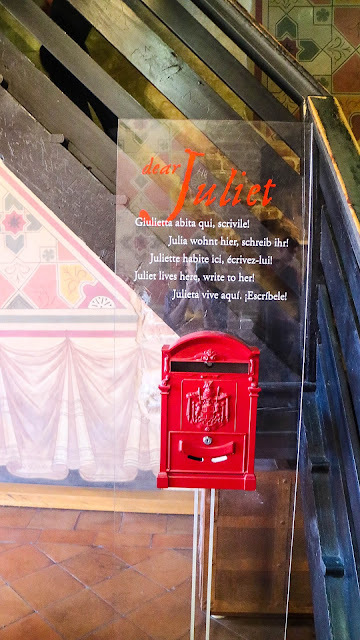 A spot on the second floor area where you can actually email Juliet. 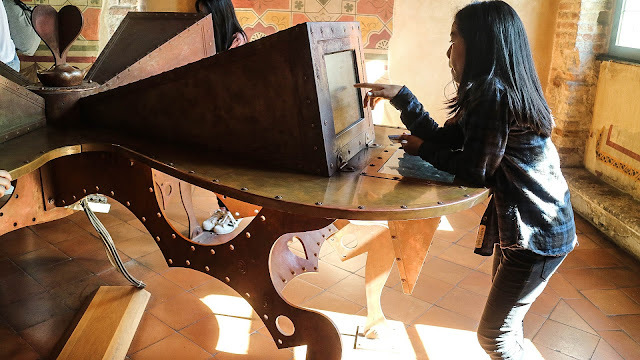 My kids typing their own letters to Juliet. The table is another featured item in the house. Inside, every spot is picture-perfect. 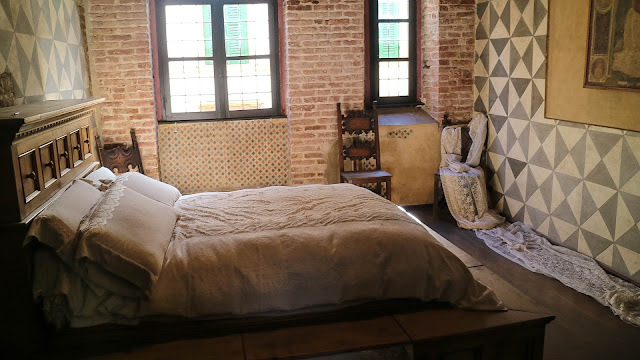 What was supposed to be Juliet's bed. 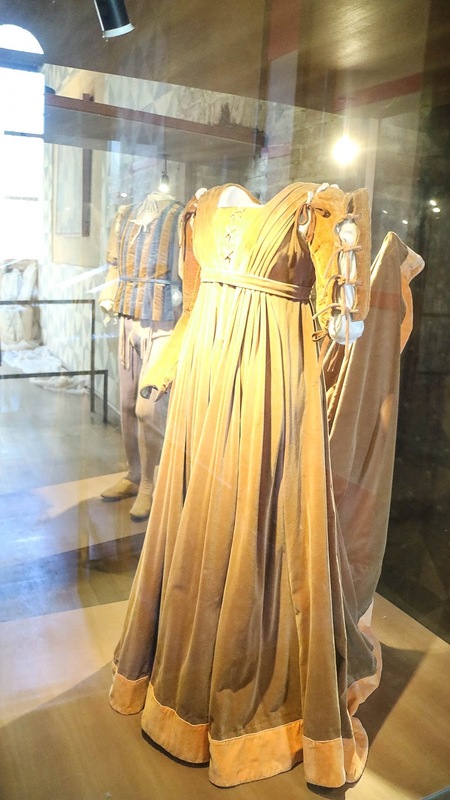 The two photos were of clothes used in the movie Romeo and Juliet. Seen on the upper floor, where you can also spot hidden areas from the neighbors. 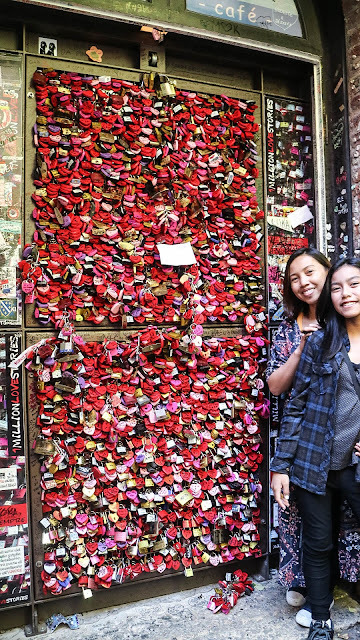 As you can see, the walls behind us are filled with bubble gums were letters had been stuck to. some have written on the walls itself while others make sure to leave something for Juliet. There are actually people who needed an advise about love and they write it to Juliet, these are what's called Letters to Juliet and somehow some have gotten answers back. Thanks to Juliet Club. After the tour, we were back again at Piazza Erbe, for some "pasalubong" shopping. The colossal Torre de Lamberti can be seen from where we stand. The tower houses two famous bells, the Rengo and the Marangona, which kept time and regulated city life. 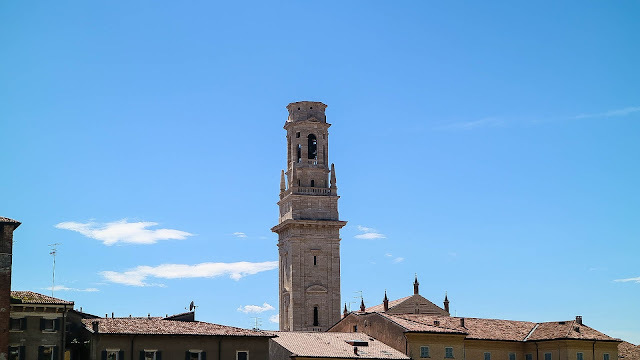 The Marangona signalled the end of the working day for the artisans (marangon) and also sounded the alarm in case of fire, whilst the Rengo summoned the town Council and citizens of Verona in times of war. The bells still ring during funerals. The view of the city from this tower (you can go up by stair-way and lift) is spectacular. 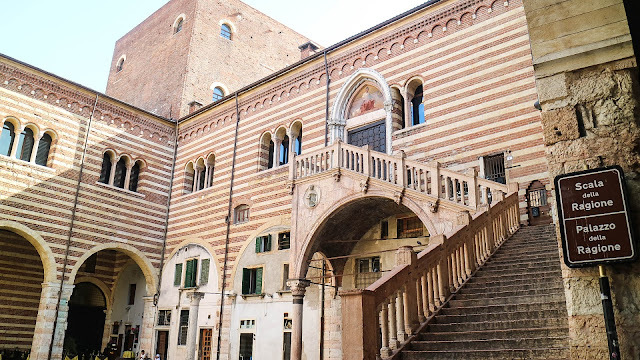 You can’t miss the “Scala della Ragione” (Reason Stairs): this great gothic stair-case was originally covered. 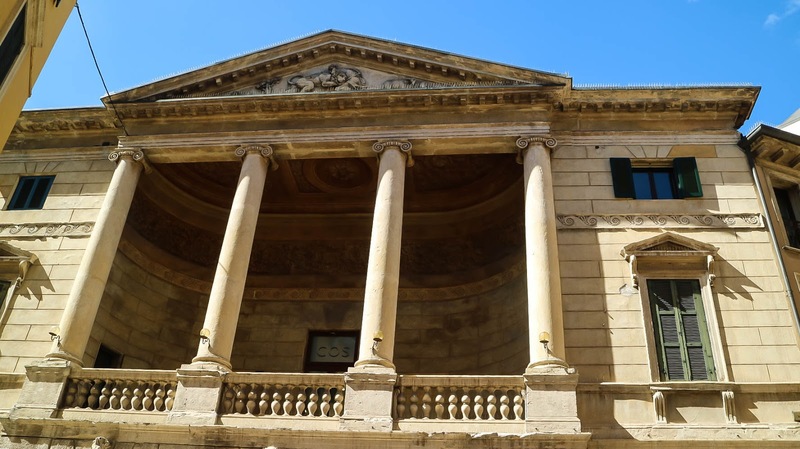 Its name is derived from the fact that it held up to law-courts situated here two centuries ago. 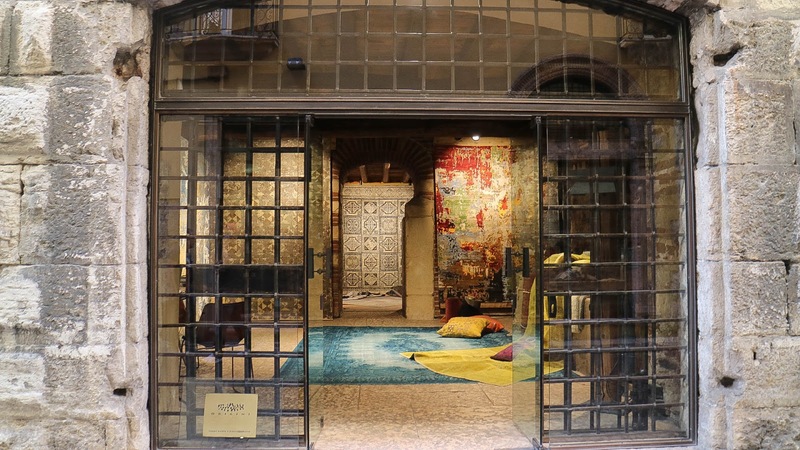 It now graces the so called Cortile del Mercato Vecchio or old market square and it dates back to the 15th century. Like the others palaces of that square, during the centuries the Palazzo della Ragione has been the centre of political power of Verona. In the external part, the beautiful exemple of Romanesque architecture, with alternation of stone and bricks. Inside, this palace hides a jewel of frescos: the so called “Cappella dei Notai”, where there are works of the veronese artists Alessandro Marchesini, Giambattista Bellotti, Santo Prunati and of the French Louis Dorigny. 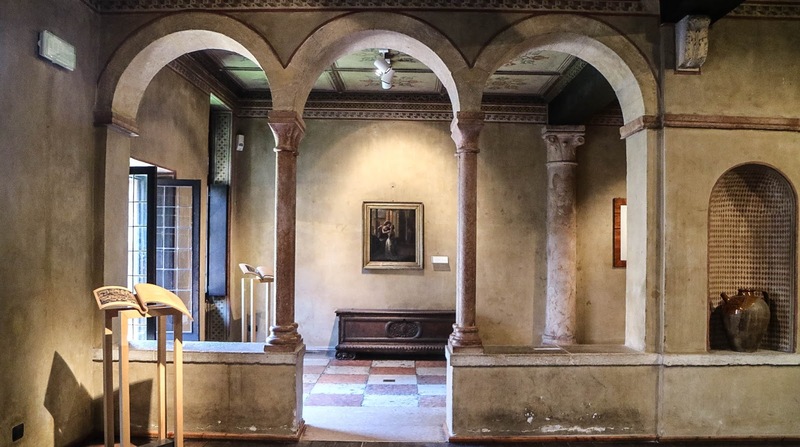 From April 2014 Palazzo della Ragione hosts the important collections of the Achille Forti Gallery of Modern Art, which, together with the Fondazione Cariverona and Fondazione Domus collections, will be seen by the public for the first time. The unification of these surprising collections will for the first time allow the public to see some extraordinary works, dating from 1840 to 1940, that recount the history of Verona, its collections, and their relationship with the city. 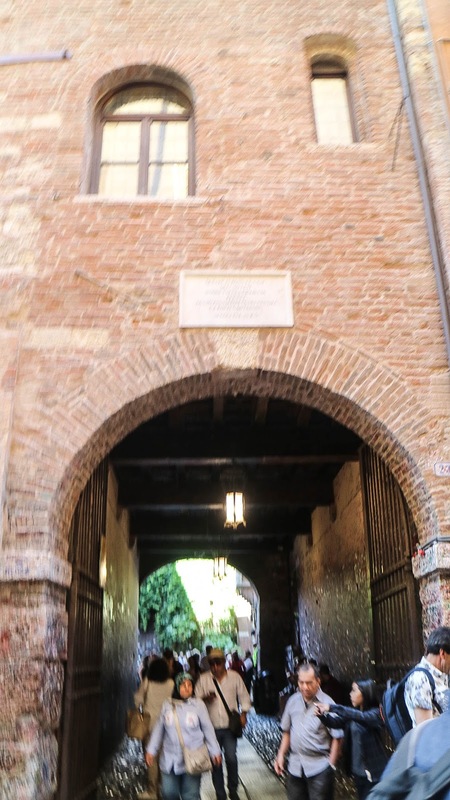 Our walk sadly ended here, but you can actually continue with the Romeo and Juliet tour as the said Romeo's house is not far from here. Despite what historians might argue, locals would say that the photo above was the home of Cagnolo Nogarola, the imposing building is known as the home of Romeo. 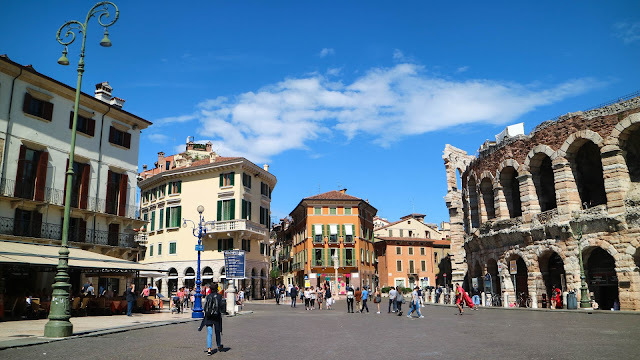 It is thought that the family of the Montagues, really existed, have lived in this neighborhood of Verona, and so the site was designated to pass on the fascination of Shakespeare's tragedy. 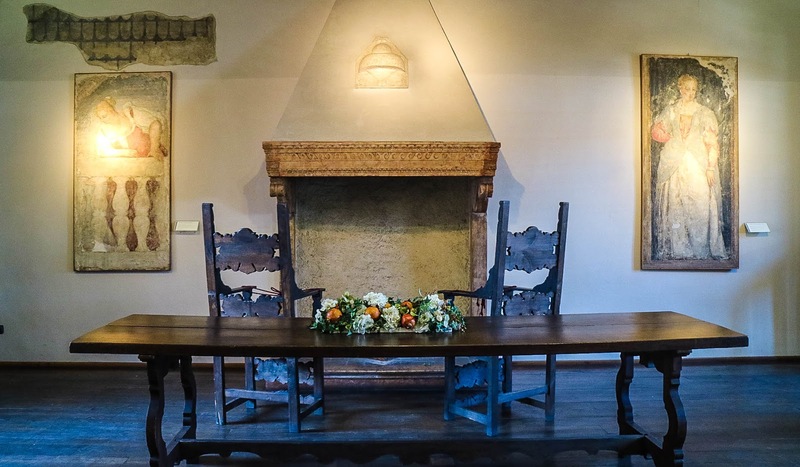 The building, which is located in the vicinity of arche Scaligere , is a typically medieval house and is externally well preserved. 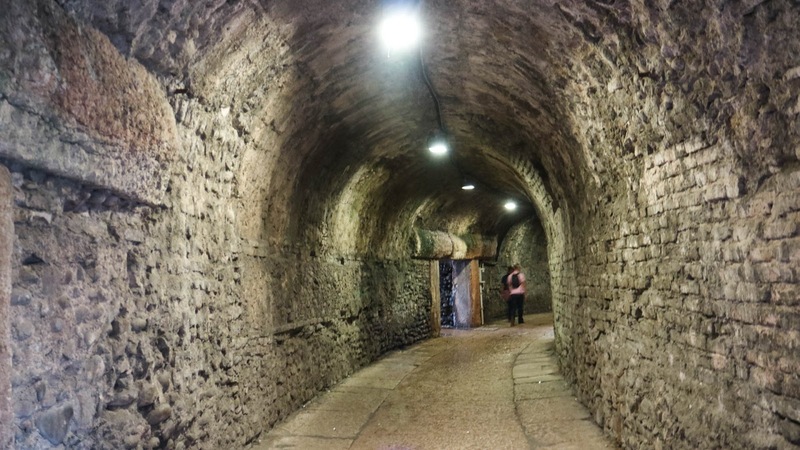 As a privately owned, is inhabited, why you can not visit it. The beautiful Gothic facade of the fourteenth century, however, is perfectly suited to the love story of William Shakespeare. On the facade an inscription in memory of the story of the two lovers: " Oh! Where is Romeo? ... 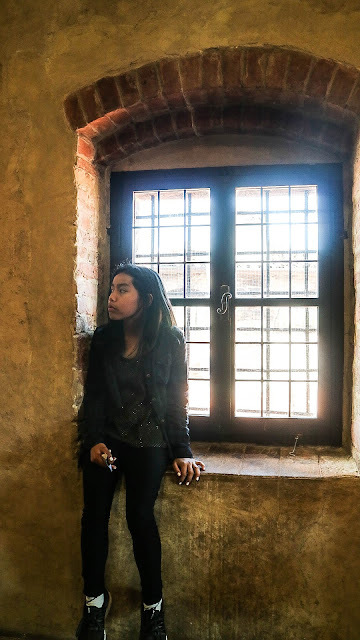 Shut up, I lost myself; I am not here and I'm not Romeo, Romeo is elsewhere "(Act 1, Scene 1). 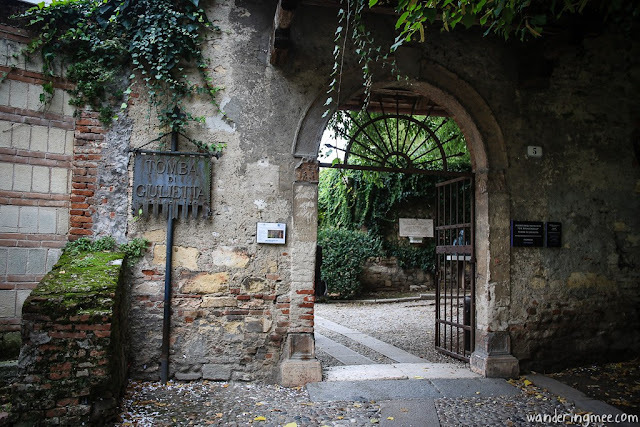 Next is to visit the the Arche Scaligere, the tombs of the Scala Family. 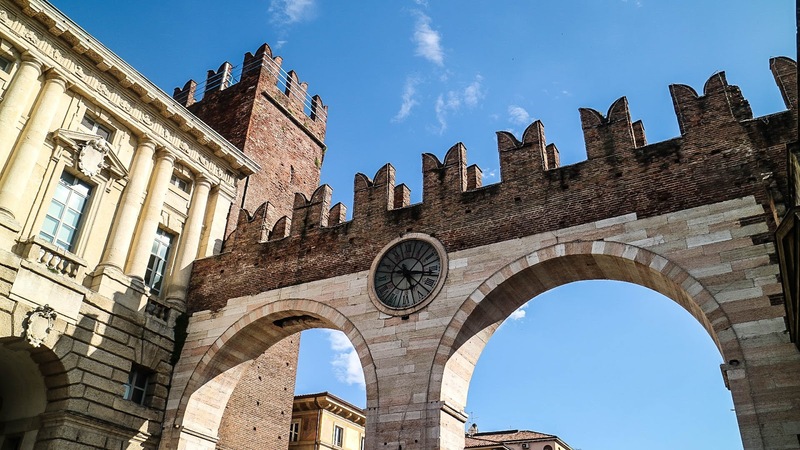 Arche Scaligere are the mausoleums of the lords that ruled Verona from the end of the thirteenth century until the end of the fourteenth century. Even if not a big cathedral, they are considered one of the most representative examples of Italian gothic architecture and sculpture. 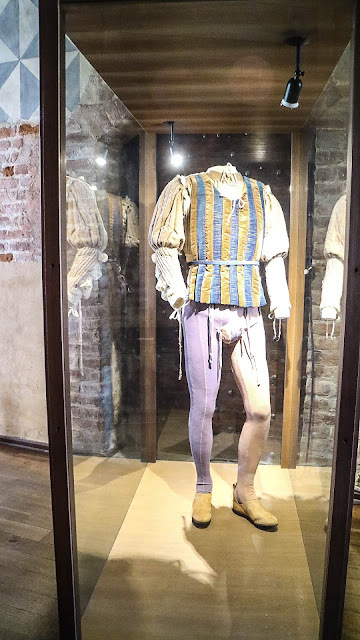 It is believed that Romeo and Juliet's legend might have taken place between the end of thirteenth century and the beginning of the fourteenth century, when Barolomeo della Scala was ruling Verona. On the top of their monumental graves, the imposing and rather awesome horse statues of the great Scala family leaders stand out clearly against the sky: Cangrande, Mastino II e Cansignorio. 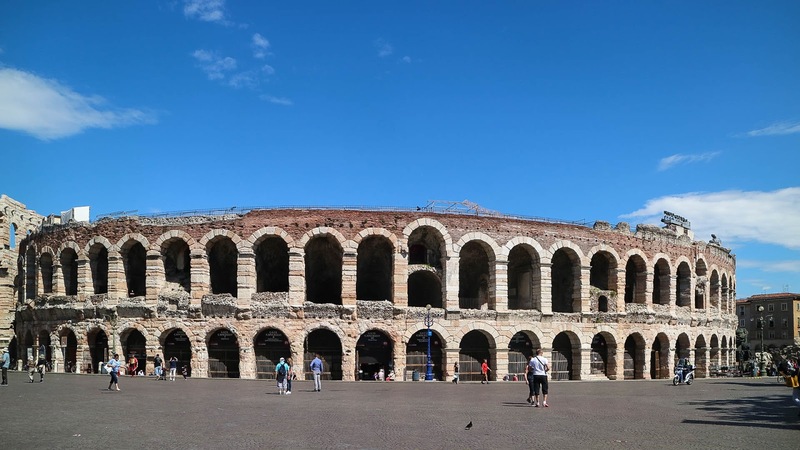 They lived, fought, loved and ruled in medieval Verona. 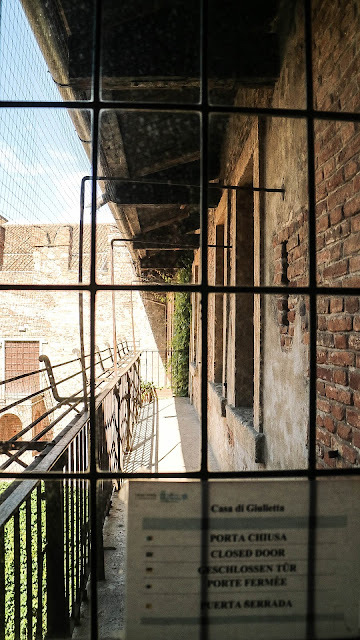 It is inside the monastery of San Francesco al Corso which has been indicated as the place where the final events of the tragedy took place. 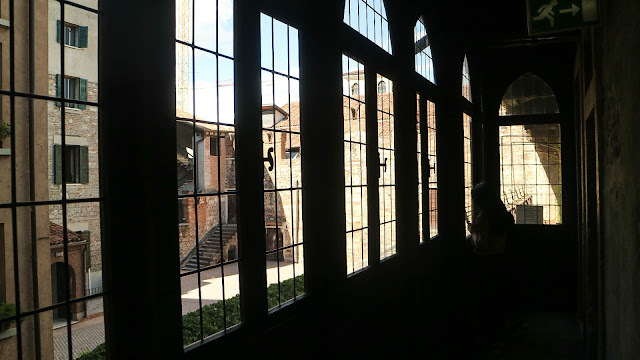 At the end of thirteenth century, the period in which it is believed that the story might have happened, San Francesco al Corso was the only Franciscan monastery outside Verona city walls. t is a small monastery, with its church and an inner cloister characterized by a fascinating atmosphere. In a vaulted room inside the dark crypt under the church of San Francesco al Corso, among the old humidity covered tomb stones of monks buried there centuries ago, lays an empty, simple sarcophagus made of red Verona marble. 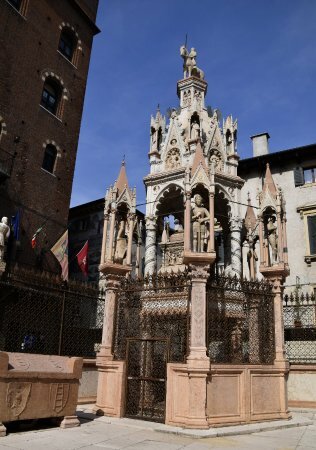 It is believed to be the grave where Juliet rested after she drank the poison. 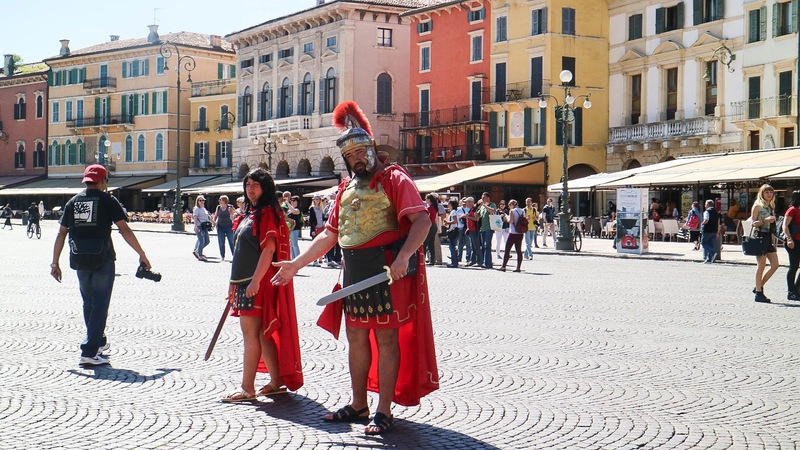 Also, you can not say, you've been to Verona if you haven't visited Lake Garda, in Bardolino. So you see, there's really many things that you can see here in Verona, even beyond the tragic love affair. 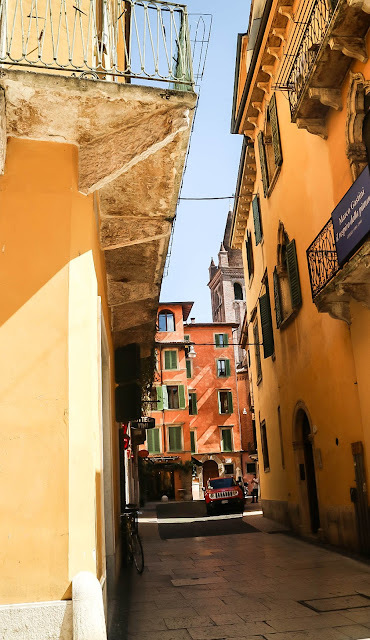 Whether you do believe in the truth behind the story or not, what matters is that the people of Verona were able to preserve the universal truth about the quote "love encompasses all things."